Synopsis: The World's Grumpiest Cat -- and the world's most adorable internet sensation -- continues to delight fans of all ages with her comic book misadventures (although she's actually quite disappointed to delight anyone, of course)! Whether she gets drawn into her fun-loving brother Pokey's games of hide-and-seek, spends her afternoon daydreaming of a world without humans, or unleashes a genie from the bottle to answer her every malcontent whim, Grumpy Cat's escapades are guaranteed to make you smile... even if she's scowling! Review: A great book for older kids, teens, and adults. I greatly enjoyed reading it. 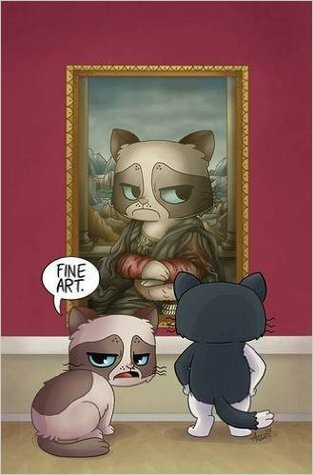 As a Grumpy Cat fan, I thought this had the right amount of snark and whimsy to be thoroughly enjoyable.